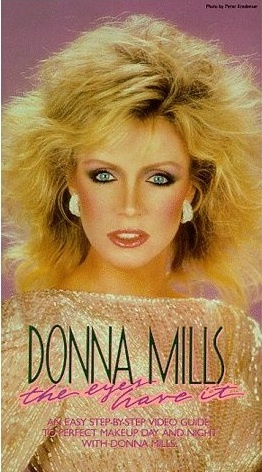 The fall of 1985 I was 11 and my world was changing in so many ways. I started my period, my parents got divorced and then there was the Julian Lennon incident. The beginning of sixth grade was really the end of my innocence. My only worries were remembering my locker combination, finishing my homework and talking about boys. But then in November, my dad told my sister and me he was moving out. My first reaction was "cool now you and mom will stop fighting!" And he told us we could get waterbeds at his new apartment which sweetened the deal even more. So innocent and naive, I really thought life would get even better for all of us. 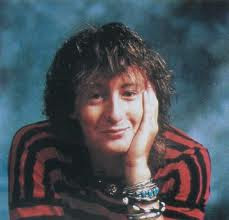 But maybe an even bigger tragedy of 1985 was when a good friend of mine, a boy, said these words "You look just like Julian Lennon." What? Are you kidding me? I was an 11-year-old girl coming of age in the eighties and a boy just told me I look like some guy. And not a pretty guy like Rob Lowe. I was devastated. And to make it worse, my dad didn't buy us the waterbeds. I immediately took it upon myself to look prettier. So I looked to style icons like Heather Locklear and Heather Thomas (the girl from "The Fall Guy"), remember it was the eighties. I bleached my hair, teased it and tried to look sweet and slutty at the same time, just like they did. So fast forward to today. I am mostly over the divorce of my parents, sure it changed me, but I am okay. 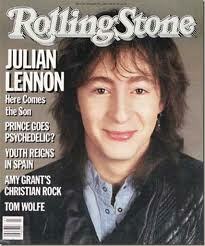 But the Julian Lennon incident....well, it pretty much wrecked me. Now I fear that I will be ambushed....by a perky makeover team. Of course being on tv would be a dream come true, but not for that reason. I always feel so badly for those poor people pulled out of a crowd and told they really need a makeover. But more and more I am convinced that if I am ever standing in a crowd outside of "The Today Show" window, they just may grab me. And Kathie Lee and Hoda would raise their glasses of wine and nod in agreement that I so need a makeover. The 99 cent kind you can get at Walgreens. 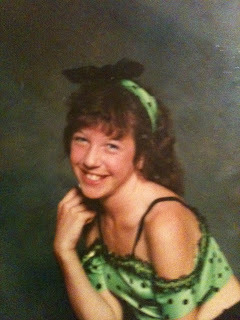 I feel like I am confessing a giant fashion sin, but I can't stop frosting my lips, circa 1985. At least I don't bleach my hair, oh wait I do, but I don't tease it anymore. I guess there are worse things to get addicted to, but I can't leave home without my frosted gloss. I always wondered how it happens on those makeover shows. How do people insist that what their blue eyeliner looks good or not cutting their hair ever is a good thing. Now I know...maybe someone said something. Maybe someone told them Crystal Gail is the coolest woman on the planet and it stuck. Who knows exactly, but now I know there is always more to the story. And you know what, I have matured a little because I can admit, maybe that boy back in 1985 had a point. Look what else I found in my purse that might lead to a whole different kind of ambush. Yet another violent, plastic toy I confiscated from my sweet, darling children.